Let’s take a look at the eight overseas players who can be game-changers for their respective sides. As we head into the business end of the tournament, all eight teams in the Indian Premier League will bring their side into play and seize as many points as they can. So far the 10th edition of the IPL has witnessed some clinical performances from some balanced sides. However, as teams gun for a berth in the qualifiers, fine-tuning squads to maximise the franchise’s chances of bagging crucial wins is always on the cards. The format of the IPL allows only four overseas players in a given XI. Teams must hence rack their brains to come up with the best combination of foreign players who will take the field. Let’s take a look at the eight overseas players who, if given an opportunity to play, can be game-changers for their respective sides. A series of dramatic performances at the international level pulled the limelight on to Ben Hilfenhaus. Following a bout of injuries, Hilfenhaus once again had the Baggy Green over his head in 2008-09. The speedster went on to reconfirm his status as one of Australia’s bowling top-liners. He does rely more on swing than pace, but this is a bowler who can swing the ball in excess of 140kph. In the IPL scenario, Hilfenhaus emerged as CSK’s best bowler who played a vital role in the Chennai Super Kings making it to the 2012 IPL final. His tailing yorkers make him a perfect death-overs bowler. Currently, the Delhi Daredevils lack the services of a specialist overseas bowler. With only 4 points in the bag, the Daredevils will have to step up their game if they wish to make it to the playoffs. Hilfenhaus has a world of experience under his belt and will look to bring all of it into play if given a game for the Daredevils. Two-time T20 World Cup winning captain Darren Sammy remains an underrated all-rounder till date. The former West Indies skipper has been unlucky to feature in a side that hasn’t had much success in their bilateral series against some of the bigger teams in the circuit. However, Sammy was one of the bright spots in the side’s performances despite the losses. 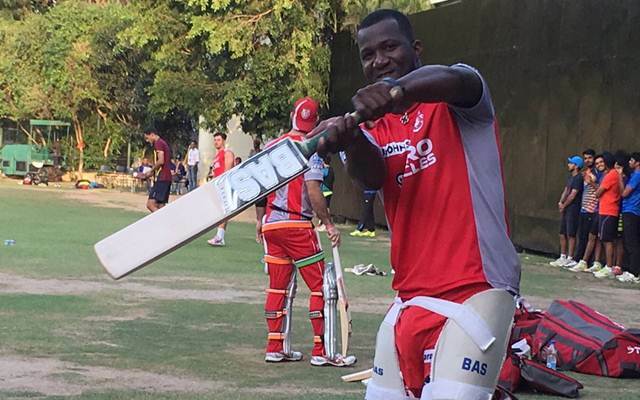 Darren Sammy has been in and out of the West Indies side. While he’s had his stint on the cricket field, he’s grabbed attention both with his flamboyant cameos down the order and his impressive strike rate with the ball. With the Kings XI Punjab needing at least 5 wins from their next 7 games, the team will look for some inspirational performances from their players. 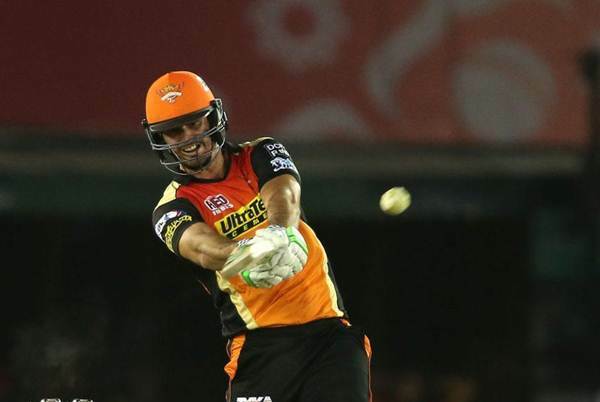 Sammy had a lasting impact on the Sunrisers Hyderabad’s playoffs qualification in 2013. A lacklustre David Miller and Marcus Stoinis who hasn’t really got going could well go on to bring Sammy into the side. Windies all-rounder Rovman Powell was the sensation of the 2016 Caribbean Premier League. He impressed one and all with a couple of swashbuckling performances in the semi-final and the final of super50 tournament. Powell smashed 95 and 65 in the all-important games and also picked up 7 wickets in the two matches. 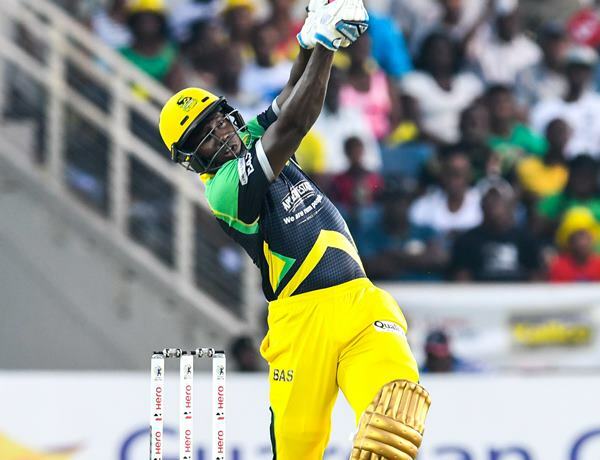 It is only fitting that Rovman Powell is considered a junior version of the hard-hitting Andre Russell, who is out of this year’s IPL for the Kolkata Knight Riders. Although KKR haven’t really felt Russell’s absence, they have had minor issues with a slumping middle order. 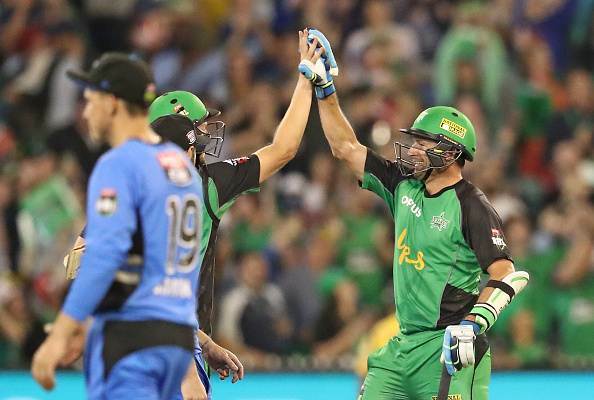 In particular, the big man Colin de Grandhomme has failed to bring his fireworks to the IPL. The Knight Riders are currently on course for a spot in the top two. Rovman Powell’s inclusion in their last 7 games of the league phase can only increase their chances of taking two cracks in the final. Another West Indian features in this list of key players, and this time it is opener Lendl Simmons. The lanky batsman can hit the ball a fair distance. He also picks his gaps to perfection and keeps himself busy at the crease. Simmons is a globetrotting T20 specialist and has shown his value as a limited-overs player for the West Indies. An attractive opener, Simmons has had success in most of the franchises he’s played for across the world. His 51-ball 82 at the Wankhede Stadium ensured that India don’t reach yet another T20 World Cup final. An attractive opener, Simmons has had success in most of the franchises he’s played for across the world. His 51-ball 82 at the Wankhede Stadium ensured that India doesn’t reach yet another T20 World Cup final. Although Simmons has had a poor run with the bat lately for the West Indies, he’s amassed some serious runs for the Mumbai Indians in 2014 and 2015. Lendl Simmons was rock solid at the opening slot and average in excess of 50 in ’14. In 2015, he went on to pile up 540 runs for his side as Mumbai eventually lifted the IPL trophy a second time. The Mumbai Indians are sitting pretty at the top of the table, but giving this man a game will add a lot of firepower to the side. 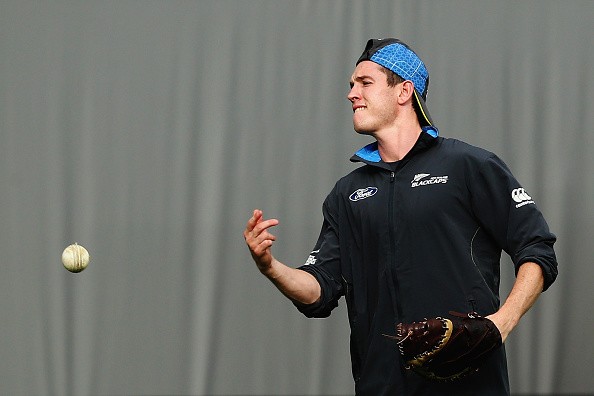 New Zealand’s Adam Milne has express pace on offer with the ball. Injury concerns have hindered the youngster’s career, nevertheless he’s impressed one and all with his strong performances. The speedster has only made a couple of appearances for the Royal Challengers Bangalore this season, and will hope to don the RCB jersey once again. With his side’s chances of making it to the playoffs looking bleak, Milne’s inclusion could well go on to add the much-needed boost that RCB have been searching for in their pace attack. He was straight-away in business this year as the paceman impressed with his pace on a slow Bengaluru wicket. Milne was the pick of the bowlers for RCB against the Supergiant, with figures of 2/27 in his quota of four overs. The Kiwi pacer certainly deserves a consistent chance to take the field, as he will take another shot at rattling the opposition’s openers. 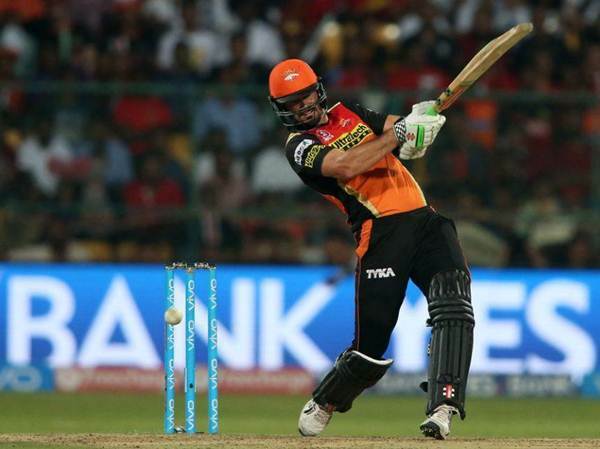 Unfortunately for Australian all-rounder Ben Cutting, he has lost his place to the likes of Kane Williamson and Moises Henriques in the Sunrisers Hyderabad squad. The Aussie not only adds quick runs lower down the order for his side, but he can also chip in with four useful overs of pace. Cutting’s match-winning contribution to SRH earned him the Man of the Match in the all-important IPL final of 2016. As the Sunrisers find themselves at the third position in the standings, they will now strive to make it into the top two before the playoffs. With a middle order that has misfired in the last couple of matches, Cutting’s addition could mean a lot to the defending champions. He will also strengthen the Sunrisers young and skillful bowling attack. It really comes as a surprise to see a batsman of Faf du Plessis’ calibre warming the bench in the IPL. The South African adds great stability to a team’s top order. He has the ability to play the long innings and stick around till the death overs. Du Plessis boasts of a century on Test debut as well as a 50 in first maiden ODI. This goes on to prove that the Proteas batsman is adaptable to any format. Moreover, that flexibility allows him to pull his team out of trouble in the T20’s as well. Du Plessis was a regular feature in the Chennai Super Kings batting line-up. His late bursts in the innings had a sizable impact on the team’s success. As of now, the Rising Pune Supergiant have some momentum going for them. The side still requires another 4 wins from their next 7 games to remain in the hunt for a spot in the playoffs. RPS would do well to have one of South Africa’s most consistent batsmen back in their XI. 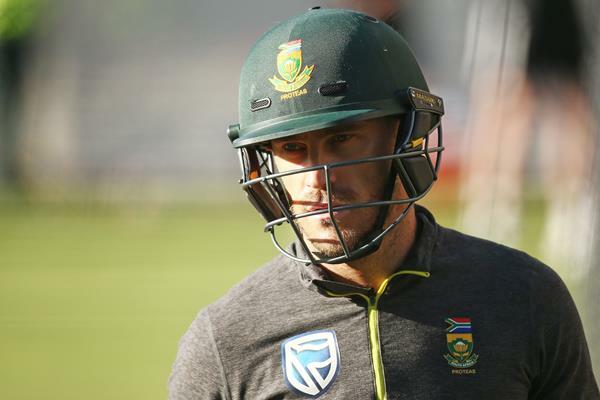 Faf is also a livewire in the field, making him the perfect package for T20 circumstances.